“As the wave ripples through the hive for nearly three minutes, other bees can be seen stroking their wings. 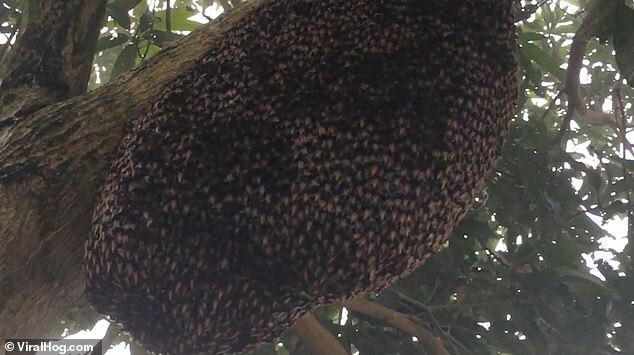 The ‘shimmering’ behaviour is a collective defence technique used by the Apis Dorsata, a honey bee prevalent in South and Southeast Asia, to repel wasps, hornets and other predators. The technique helps prevent a wasp from fixating on one bee or in trying to acquire honey from the hive of the colony,” reports The Daily Mail.